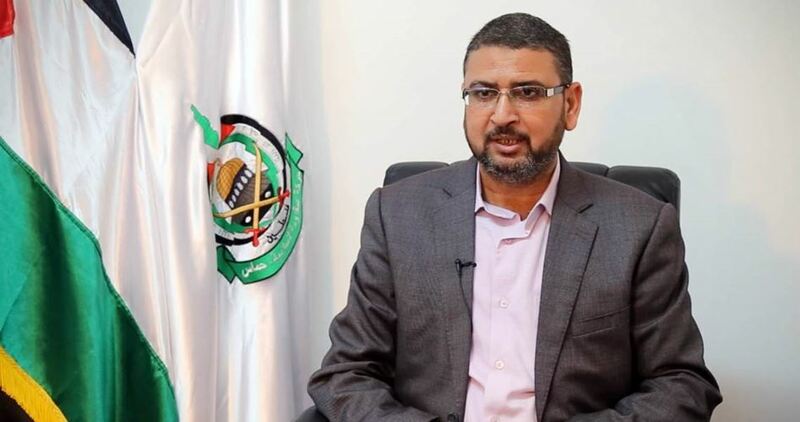 Hamas leader Sami Abu Zuhri on Saturday said that the US administration, through the deal of the century, is seeking to normalize the Arab-Israeli ties and make Israel's existence in the region as normal. In an exclusive interview with Anadolu Agency in the Turkish capital, Ankara, Abu Zuhri said that the US-initiated plan aims to establish a Palestinian state in Gaza only. "We reject this deal which seeks to undermine the Palestinian cause by taking the issues of Jerusalem and refugees off the table," he said. "Our right extends to the whole Palestinian territories, not only the Gaza Strip," Abu Zuhri stressed. "Our major goal is not only Gaza, but the liberation of all Palestine." Abu Zuhri added that the deal of the century is a plan for regional gains and has nothing to do with solving the Palestinian problem. On Israel's Prime Minister Benjamin Netanyahu's statements that a number of Arab states were seeking to normalize ties with Israel, Abu Zuhri said, "We should not be deceived by Netanyahu's claims." According to the Hamas leader, Netanyahu is trying to show that Israel has the upper hand over the Arab region in an effort to evade the losses caused by the Palestinian resistance. Asked about Hamas's opinion on the normalization wave witnessed in some Arab countries recently, Abu Zuhri stressed that welcoming Netanyahu in any Arab or Muslim state would give a pretext to the Israeli occupation to continue its crimes against the Palestinian people. In another context, Abu Zuhri said that the head of Hamas's Political Bureau Ismail Haneyya will soon start a tour abroad that is scheduled to include a visit to Moscow. Abu Zuhri said that Haneyya had received an official invitation to visit Moscow and attend meetings on bilateral relations and intra-Palestinian negotiations. In response to a question on Russia's Foreign Ministry's announcement about a possible Hamas-Fatah meeting in Moscow, he said, "We have no information on this matter." “Dissolving the Legislative Council by the so-called constitutional court, which was established by Abbas to pass and protect his arbitrary edicts, is a decision without any constitutional or legal value and considered a politically motivated verdict that cannot change the reality,” Hamas underscored in a statement on Saturday. 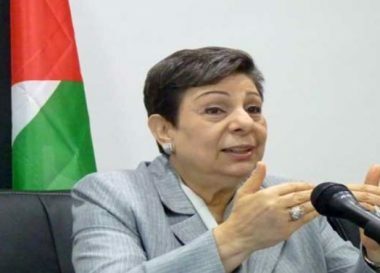 “The Legislative Council is constitutionally the master of its own fate, and the constitutional court is an illegal body, and what is established on illegal foundations is invalid,” Hamas added. “Instead of responding to the initiative recently made by head of Hamas’s political bureau Ismail Haneyya on the national unity and ending the division as well as to the position of the national and Islamic factions, Abbas is making a miserable attempt to impose his policies that aim to liquidate and terminate the Palestinian political system, kill the political pluralism and destroy our people’s legitimate institutions in order to monopolize the Palestinian decision-making and eliminate the other national factions and prevent any efforts seeking to achieve unity and reconciliation,” the Movement’s statement emphasized. The Movement urged all factions and political forces from all spectra to take action against Abbas’s unconstitutional and irresponsible step against the PLC and its members. 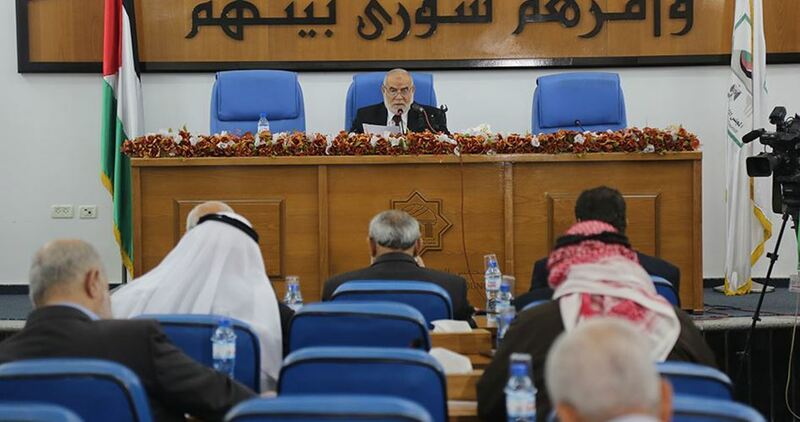 It also affirmed its readiness to fight elections held concurrently and in accordance with national consensus for the PA presidency, the Legislative Council and the National Council, providing that Fatah should respect the results. 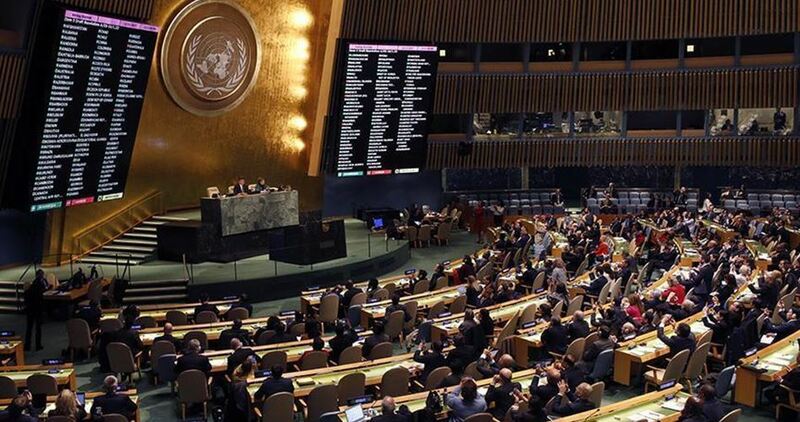 The United Nations General Assembly adopted, by an overwhelming majority, a resolution that affirms the right of the Palestinian people to sovereignty over their natural resources. The resolution was adopted by a recorded vote of 159 in favour to 7 against (Canada, Israel, Kiribati, Marshall Islands, Micronesia, Nauru, United States), with 13 abstentions. By that text, the Assembly demanded that Israel cease the exploitation, damage, cause of loss or depletion and endangerment of the natural resources in the occupied Palestinian territory, including East Jerusalem, and in the occupied Syrian Golan. By further terms, the Assembly stressed that the wall and settlements being constructed by Israel in the occupied Palestinian territory are contrary to international law and are seriously depriving the Palestinian people of their natural resources. The U.N. agency said it would, as of January 1, suspend food assistance to 27,000 people in the West Bank. 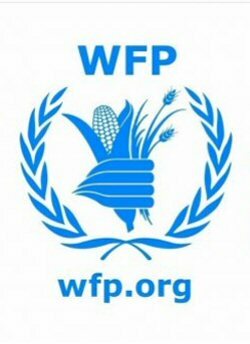 In addition, food aid to 165,000 people in the territory and in the Gaza Strip would be reduced by 20 percent. On Monday, Jamie McGoldrick, UN Deputy Special Coordinator for the Middle East, described the provision of humanitarian assistance in Gaza as “a collapsing system in freefall”. He issued an appeal as part of the Humanitarian Response Plan for next year, for $350 million, to help 1.4 million people in the most need, across the occupied Palestinian territories, chiefly the the Gaza Strip. 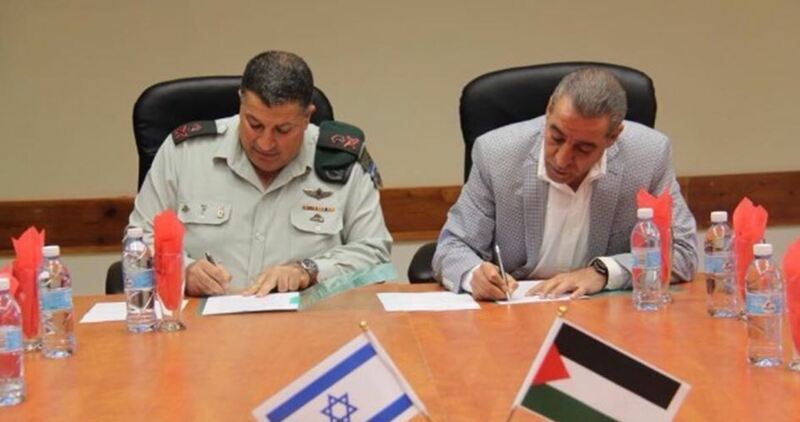 The meeting between the member of the Fatah Central Council Husain al-Sheikh and the head of the Israeli intelligence service Nadav Argaman is a sign of ongoing security cooperation between the Palestinian Authority (PA) and the Israeli occupation, Hamas said on Tuesday. The ongoing meetings between al-Seikh and Shin Bet chief are an indication of the PA’s dishonest standpoint, Hamas leader Sami Au Zuhri tweeted. Israeli news outlets quoted al-Sheikh as stating that the meetings dovetail the PA President Mahmoud Abbas’s intent to tone down tension in the West Bank and keep cooperation with the Israeli occupation going. A member of the Israeli parliament, the Knesset, called on Sunday for the President of the Palestinian Authority to have his head “chopped off”. Oren Hazzan MK made the comment about Mahmoud Abbas, as well as his Deputy, Mahmoud Al-Aloul, during a march held by illegal settlers in Jerusalem, Maan News Agency has reported. “We call for the complete approval of the settlements in Ofra and Amona,” Hazzan declared. Addressing his remarks to government ministers, he added, “We want to go back to Givaat. Stop evading your responsibility. 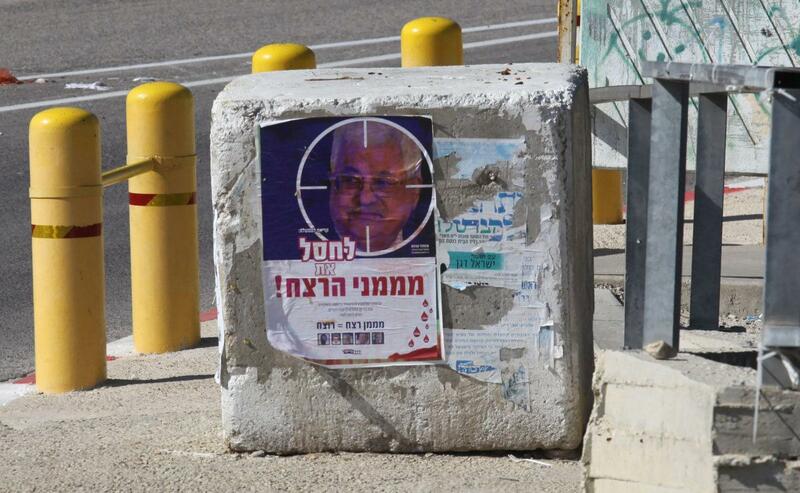 We want to have the head of Abu Mazen [Mahmoud Abbas] and his deputy chopped off. Last week, Israeli settlers carried out attacks and instigated clashes with Palestinians in different areas across the occupied West Bank and Jerusalem. On most occasions, the heavily armed settlers are protected by Israeli soldiers and police officers when they gather for demonstrations and terrorist attacks on Palestinians and their homes. 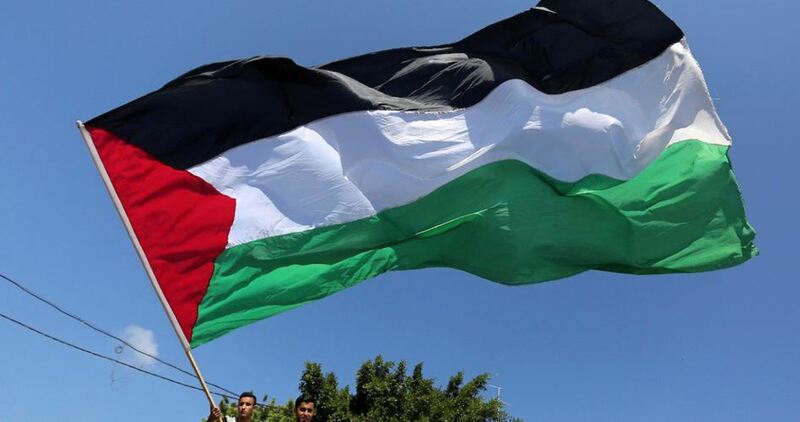 Israel's Ministerial Committee for Legislation is scheduled to discuss a new bill imposing a one-year prison sentence on individuals who raise Palestinian flags during demonstrations, according to Haaretz. Drafted by MK Anat Berko, the bill stipulates that any gathering of at least of three people raising the flag of a state or an entity that is not friend with Israel or that prevents the raising of the flag of Israel will be considered illegal. Anyone who participates in a prohibited gathering would be subjected to up to a year in prison. The bill defines the states that are not friends with Israel as the "states who do not recognize Israel as a Jewish and democratic state". Berko, in her justification, wrote that Israel is a democratic state which allows its citizens to protest against different issues; however, the new bill draws a red line between the legal protest and the protest where the flags of the countries that do not recognize Israel are raised. 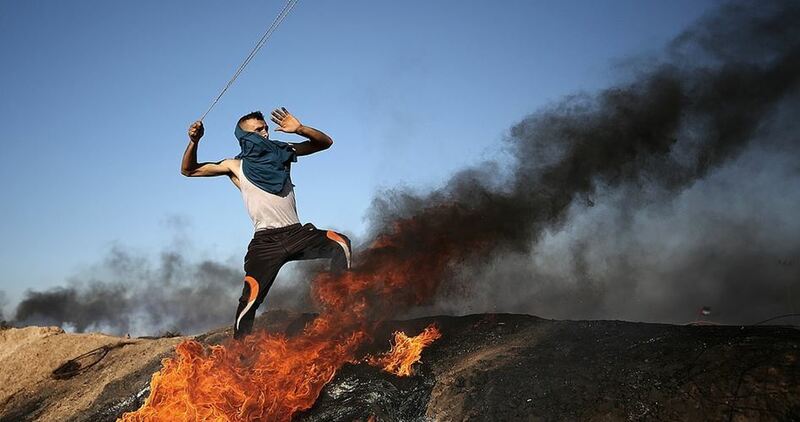 The Hamas Movement has called on Palestinian people to largely participate in the protests of anger to be held on Friday following the killing of four Palestinians by Israeli soldiers. In a press release on Thursday, Hamas urged Palestinian masses in occupied West Bank to rally in large numbers to flashpoint areas after Friday prayer. The group stressed the urgent need to participate in protests throughout occupied territories in support of resistance option. Israeli forces have martyred on Thursday three Palestinians in raids in the occupied West Bank, while another was killed after an alleged car-ramming attack. 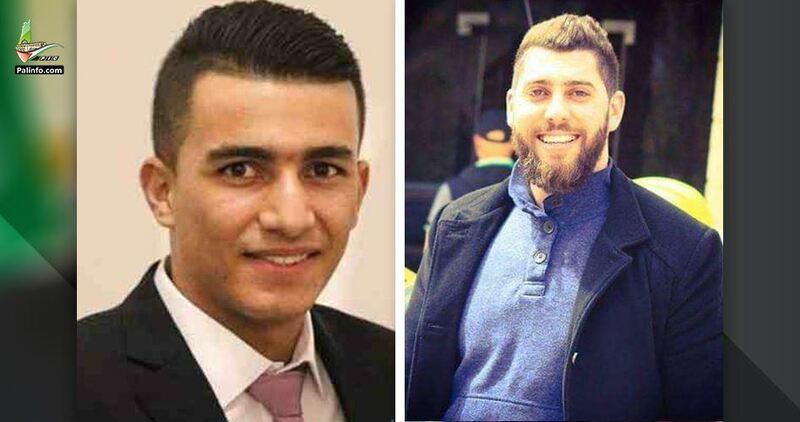 Hamas on Thursday has mourned the death of Ashraf Na’luwa and Saleh Barghouti who were assassinated by the Israeli occupation forces hours earlier. Hamas announced the death of Ashraf Na’luwa who has been chased down by the Israeli military for over nine weeks after he carried out an anti-occupation shooting attack near Israel’s illegal settlement of Brakan. Hamas also announced the death of Saleh al-Barghouti, who carried out an anti-occupation attack last week near the Israeli outpost of Ofra, illegally built on Palestinian land north of Ramallah. Hamas vowed that anti-occupation attacks and resistance operations will be kept up across the occupied Palestinian territories until the Palestinians retrieve their land, rights, and holy sites. 29-year-old Saleh Omar Barghouti from Kobar village in the occupied West Bank was shot, injured, and arrested by the Israeli military on Wednesday evening, before he was pronounced dead shortly after. On December 9, seven Israelis residing in an illegal settlement built on Palestinian land in the occupied West Bank were injured in an anti-occupation shooting attack allegedly carried out by al-Barghouti near Ofra. The Israeli occupation forces assassinated Ashraf Na’luwa at dawn Thursday following a military operation in Askar refugee camp in Nablus city. Na’luwa is accused of carrying out the deadly shooting attack on October 7 in Barkan industrial zone in Ariel settlement near Salfit city in the occupied West Bank.